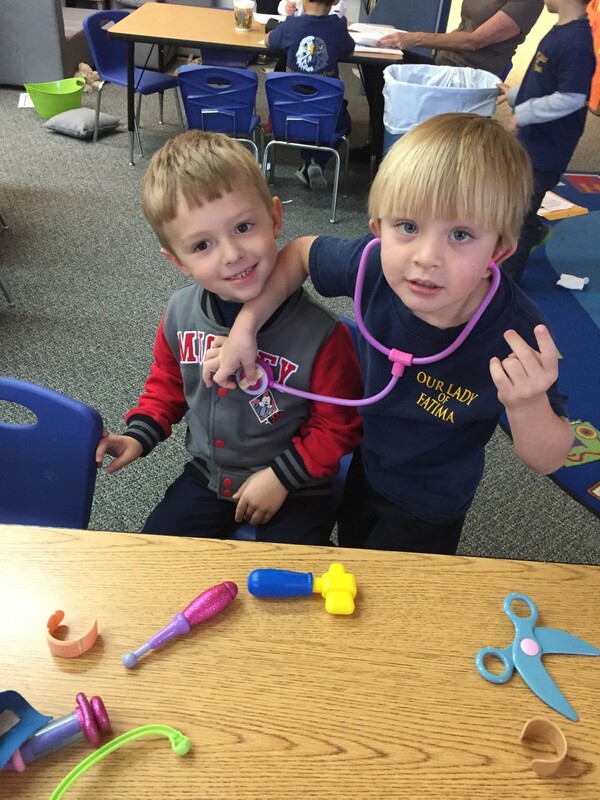 The PK3 students at OLF Elementary recently held a week long learning experience about community and community helpers. PK-3 Teacher Laney Butler taught the students how police officers, firemen, doctors, nurses, teachers, priests, and countless more play an important role in the safety, health, and education of the local community. 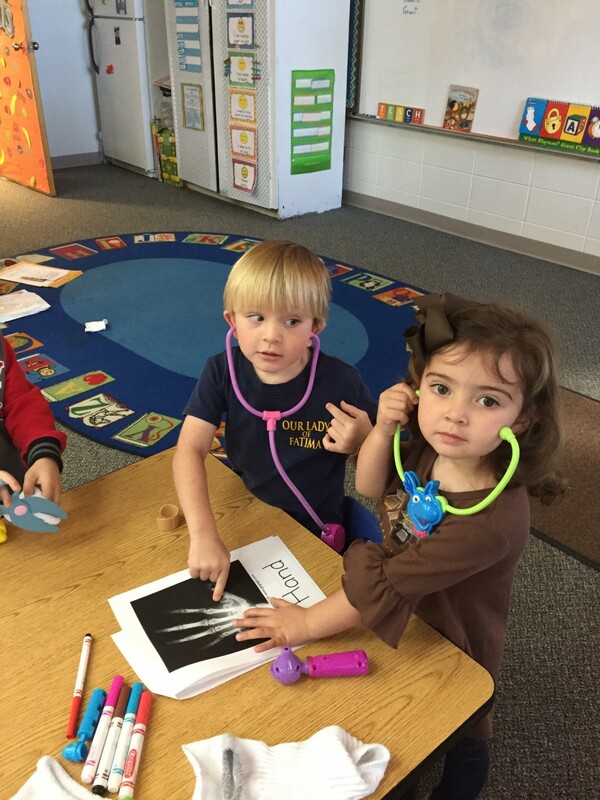 As part of the lesson, Ms. Butler’s students took turns acting as a doctor treating a patient. Students learned how doctors help people by treating illnesses and making them feel better. According to Ms. Butler, “the goal was to help students understand the important part these men and women contribute each day to the overall health of our community”. John Thomas Mason and Maddie Migues learn how doctors help heal patients with broken bones. Grant Johnson and John Thomas Mason learn about the role of physicians in the local community.